Not just your messages, but all your files, images, PDFs, documents, and spreadsheets can be dropped right into Slack and shared with anyone you want. Add comments, star for later reference, and it’s all completely searchable. Everything in Slack—messages, notifications, files, and all—is automatically indexed and archived so that you can have it at your fingertips whenever you want. Slack also indexes the content of every file so you can search within PDFs, Word documents, Google docs, and more. With one search box and a set of powerful search operators, you can slice and dice your way to that one message in your communication haystack. With fully native apps for iOS and Android, whatever you do on one device is reflected everywhere. Everything is in sync. We’ll keep your place so you can always pick up wherever you left off. Customize your notifications whether you’re on your computer or mobile device. Dial them up to be alerted about everything or dial them down to focus on just a few things. Interactions with network drives are now handled with grace and panache. Or, at the very least, "better". 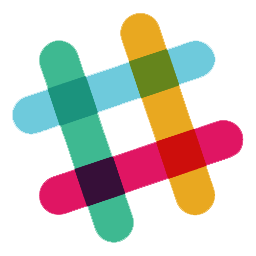 If you want to launch slack minimized, you now can. We will no longer stand in your way. We've changed the look, feel and texture of our new HTML notifications. Give them a try! They're delicious. Sometimes on Windows 10, moving the window, say, up would cause a white bar to appear. We raised the bar. Also, moving the window would sometimes change the size of the window. Your aim was true; we no longer move the goalposts on you. In the Apps and Features and Uninstall a Program window, the icon showing up was not the right one. It now is. The notification and unread indicators on the taskbar are now more readable. Blurry icons were an issue for some users with multiple displays. Now all is clear. The Slack icon, previously appearing with an opaque background color on Windows 10 is now all the clearer for being less clear. Some people were seeing sidebar icons for teams other than the one they were in. This was confusing, and has now stopped. And finally, if you have been having issues with keyboard or cursor issues, you should no longer be having them.